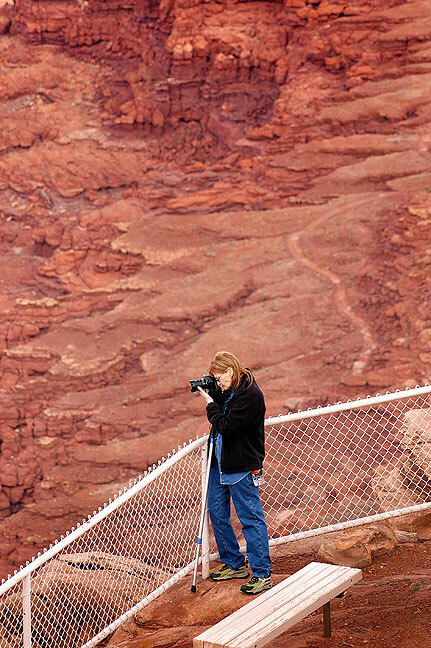 Abby photograph’s Utah’s Hatch Point in October 2006. The road visible in the distance behind her is the Hurrah Pass Road, which I drove last month. These two more than any others were probably my weakest since they were built when I was transitioning to WordPress. I felt they both definitely benefitted from some additions. I didn’t know using “chilly” in that sense was a thing — but you owned it.